NEW OWNERSHIP, NEW ATTITUDE! Come down and meet the new owners, Dale Rhoads and Justin Johnson. 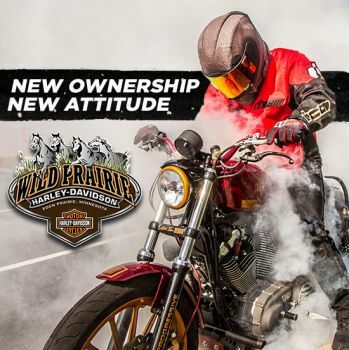 See the same great faces, enjoy the LARGEST inventory, and the BEST service department right here at Wild Prairie Harley-Davidson! We are a group of dedicated riders whose mission is to help you with all of your Harley-Davidson needs. Whether it's getting a new bike, keeping you on the road with our stellar service department, customizing your bike with our huge parts inventory, or styling you up with the largest, and most recent MotorClothes selection. 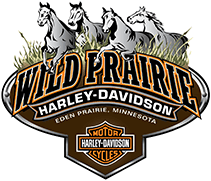 Wild Prairie Harley-Davidson® is conveniently located near the areas of Eden Prairie, Minneapolis, Shakopee, Chaska, and Chanhassen.